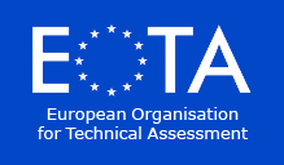 EOTA is the European Organisation for Technical Assessment in the area of construction products. It is based in Brussels (Belgium). EOTA develops and adopts European Assessment Documents (EADs) by using the scientific and technological expertise of its members. The European Technical Assessment (ETA) is a document providing information on the assessment of the performance of a construction product, in relation to its essential characteristics. This definition is provided in the new Construction Products Regulation (EU/305/2011) entered into force on 1st of July 2013 in all European Members States and in the European Economic Area. The ETA is valid in all 28 European Member States and those of the European Economic Area, as well as in Switzerland. It may be recognized also in countries where a mutual recognition agreement is concluded with the European Community. The ETA is the basis for a Declaration of Performance (DoP) by the manufacturer. The ETA creates confidence in the performance of the essential characteristics of a construction product for its intended use. The ETA contributes to the free movement of construction products and thus to the Single European Market. An ETA which has been issued after 1st of July 2013 is valid of indeterminate duration on the EOTA website the actual ETAs are published. What is important to know about the changes from 1st of July 2013 with regards to ETAs? ETAs which were issued up to 30 June 2013 (so called European Technical Approvals) remain valid until the end of their validity period. They can be used as European Technical Assessments. This type of ETAs will disappear from the market throughout the year 2018. These ETAs are based on ETA Guidelines or issued upon common agreement of the Approval Bodies. As of 1st of July 2013 ETAs are based on European Assessment Documents (EADs).